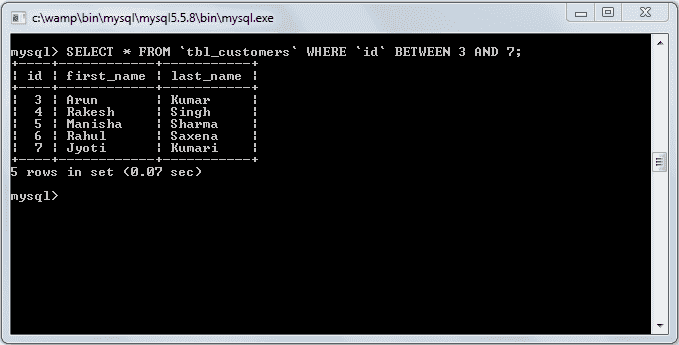 MySQLi BETWEEN is used to retrieve values within a range in a SELECT, INSERT, UPDATE, or DELETE statement. Below the syntax of BETWEEN condition. expression: A column or calculation. value1 and value2: These values create an inclusive range that expression is compared to. Note:The MySQLi BETWEEN Condition will return the records where expression is within the range of value1 and value2 (inclusive).